After winning the first OUA middle-distance medal in Laurier’s middle-distance program’s history, Sydney Pattison finished in twelfth place in 1500-metre race at the 2019 U-Sports track and field championships. The championships this year took place at the University of Manitoba in the James Daly Fieldhouse from March 7 to 9. In what was her first appearance at the nationals, Pattison finished twelfth in the 1500-metre race with a time of four minutes and 45.72 seconds. The third-year runner became just the second Laurier athlete ever in the program’s history to compete at the Nationals. The only other Laurier middle-distance runner to accomplish this feat was Adam Cornwall, as he ran the 3000-metre race at the 2016 National Championships. Sydney Pattison had a great 2018-19 season for the Hawks and although she was unable to capture a medal at the U-Sports championships, the fact that she made it to this stage is a great accomplishment in itself. The Rockwood, Ont. native started her Laurier middle-distance career in 2016 and her career has been nothing short of extraordinary since then. This appearance at the U-Sports championships is another addition to a growing list of accolades for Pattison, including Team Rookie of the Year in 2016-17, Team MVP in 2017-18 and the incredible bronze medal finish at the OUA championships in February earlier this year. 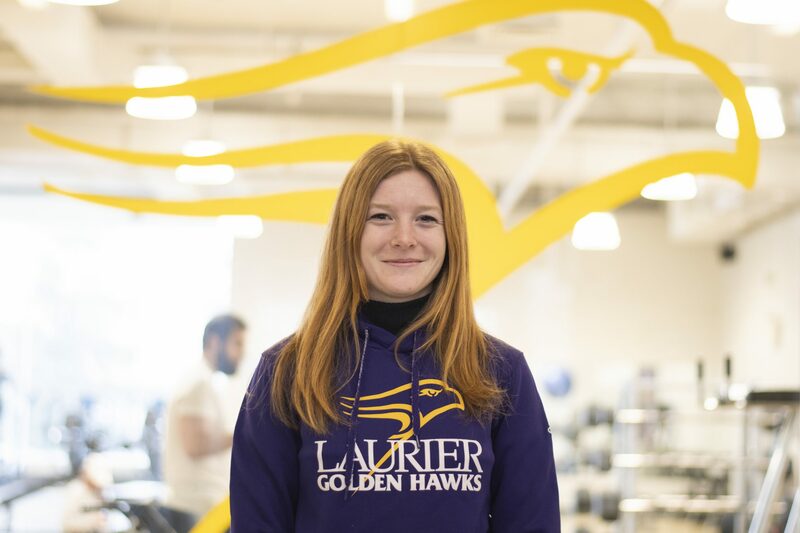 With the conclusion of the middle-distance season, Pattison still has a lot to look forward to in the upcoming weeks as she was recently announced as a finalist for the 2019 Outstanding Women of Laurier award. What makes this feat even more impressive is that Pattison is the first member of the cross country and middle-distance Laurier teams to be a named a finalist for this prestigious award. This accomplishment shows that Pattison has not only been very impressive on the field for the Hawks this year, she has also done some great things for the community off the field.